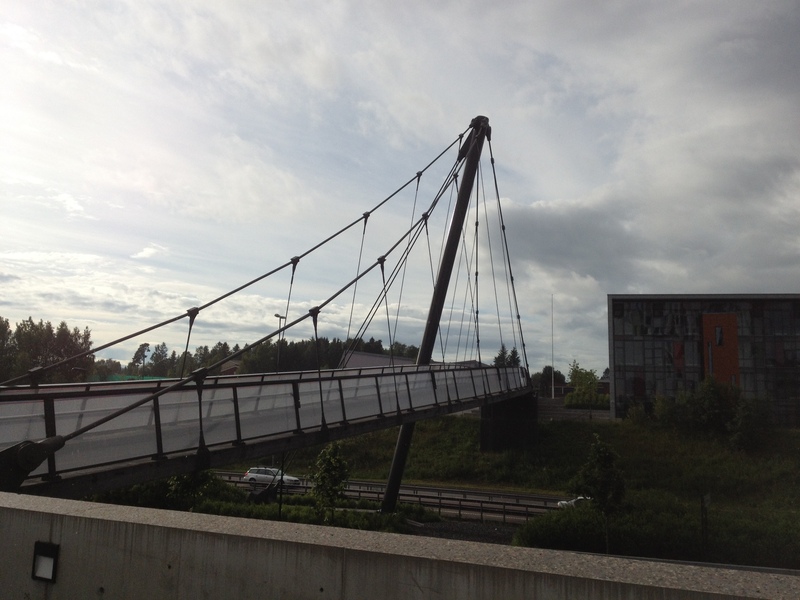 Lørenskog pedestrian bridge is part of the Lørenskog town centre development, and crosses the Fv159 motorway to connect Mailand and Kjenn schools and the town hall with the public transport terminal, Lørenskog Hus cultural centre and the Metro shopping centre. Aas-Jakobsen acted as the lead consultant on the project, with responsibility for all disciplines. We collaborated with Arkitektskap on the design. The project involved the visual design, preliminary project, tender documentation, detailed engineering and supervision during the construction period. The bridge is a self-anchored suspension bridge with one oblique tower and a curved deck. It has a total length of 105 metres and a main span of 70 metres. The bridge deck and foundations are made from dark concrete. The tower is made from steel. 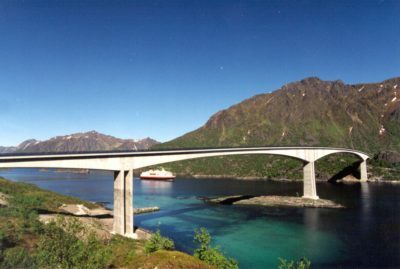 The technical design is extremely advanced, and the only one of its kind in Norway. 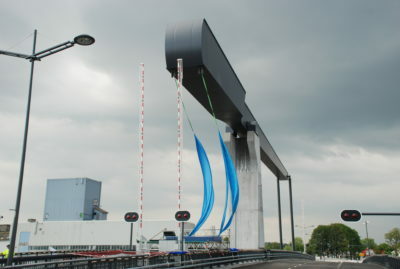 There were some tense moments during the construction period, both because of the coloured concrete and the work involved in fixing the cables, hangers and superstructure. However, everything worked out exactly as intended, to the great satisfaction of the Designers, Construction team and Client. 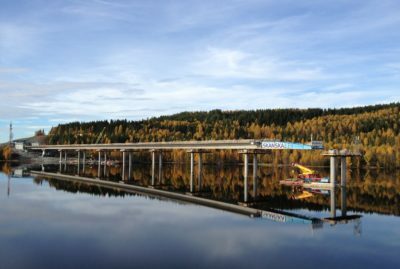 Lørenskog pedestrian bridge has become a welcome addition to the new municipal centre, and a landmark which has been acclaimed far beyond Lørenskog.